Michelle Beckham, a native of the Gulf Coast, has been married and living in Baldwin County, AL for over 15 years. Michelle is a member of both Mobile and Baldwin County Boards of Realtors, and MLS Systems, providing her exposure to over 2500 local realtors. 2011-2015 Bellator’s #1 Top Sales Producer – Company-Wide! 2016 Bellator’s #1 Top Sales Producer, on the Eastern Shore! 2016: 86 Closings, $23Million, that’s more volume than over 150 real estate ENTIRE-companies! 2017: 121 Closings, $34.2Million, #1 Top Sales Producer – Company-Wide! With 10 communities in Spanish Fort, 14 communities in Daphne, 3 communities in Fairhope, 3 communities in Gulf Shores, and 3 communities in Orange Beach, many more in Foley, Loxley and Robertsdale, as well as 2 offices to serve you throughout Baldwin County, our company has the diversity and ability to find the exact property that you have in mind. 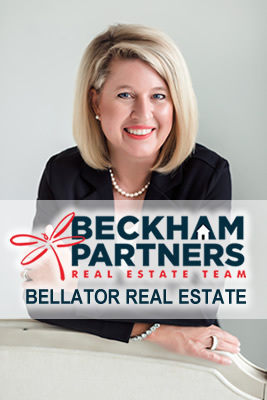 Bellator Real Estate features Baldwin County real estate listings and Mobile real estate listings along Alabama's Gulf Coast as well as all types of homes and land in the Daphne, Fairhope, and Foley areas. These include Spanish Fort, Lillian, Robertsdale, Summerdale, Silverhill, Magnolia Springs, Josephine, Ft. Morgan, Loxley, Elberta, Miflin, and Bon Secour. We have the largest listing inventory in South Baldwin County and a large staff of professional Realtors to help you sell or purchase the property of your choice. If you can not locate the property you want on our site, we will find it for you. Don't hesitate to contact us at any time! !